Apparently, brains are a lot like a box of chocolates, you never know what you're going to get. On the next episode of CW's iZombie, "Brother, Can You Spare a Brain," Liv eats the brain of a murdered artist and the side effect is a super dose of zombie Viagra. She can't control her carnal urges which isn't doing Clive's investigation any favors. A neat new poster for the episode has also been released along with a sneak peek from the CW below. 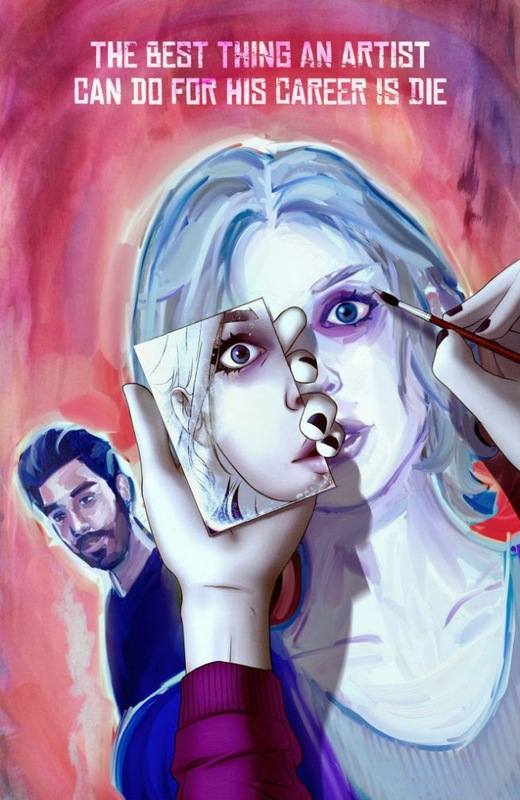 50 SHADES OF PSYCHIC — Liv (Rose McIver), Ravi (Rahul Kohli) and Clive (Malcolm Goodwin) work together to solve the mysterious death of a well-known painter. Liv finds herself consumed with passion after eating his brain, and can’t resist trying to seduce Major (Robert Buckley). Meanwhile, Blaine (David Anders) makes a surprise visit to the morgue. John Kretchmer directed the episode written by Diane Ruggiero-Wright (#102). Original air date 3/24/2015.